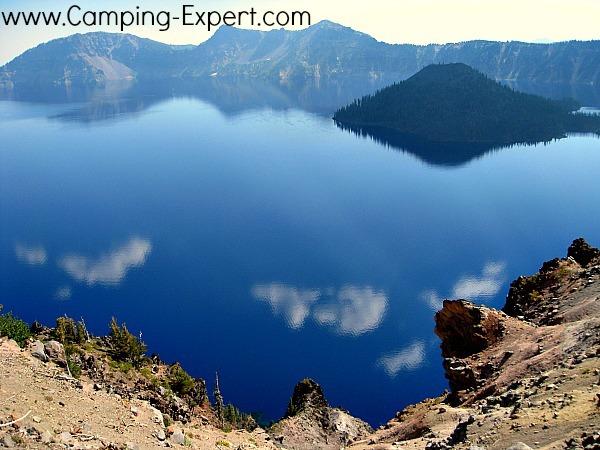 Crater Lake Oregon: is it worth the trip? 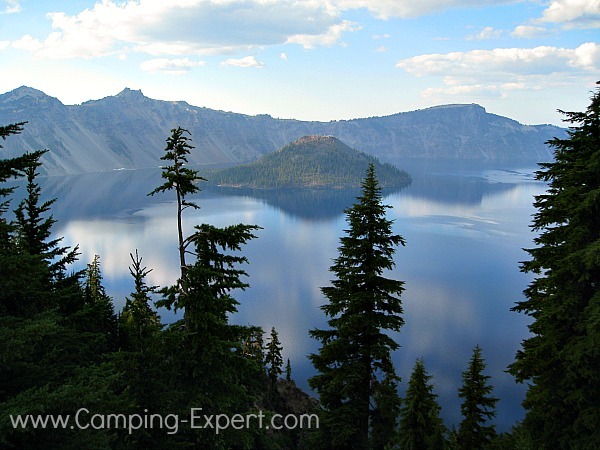 Crater lake Oregon is a beautiful deep blue lake with wizard island in the middle. It’s one of those fantastic things to do in Oregon. Below you will see lots of great pictures. Crater Lake National Park. Before even getting to the park, we were told that it was a ‘must-see’ , one of those things to do in Oregon. So, we went out of our way to visit. Crater lake was created from an old Volcano crater. A second smaller eruption made a cinder cone, which we see as a tiny island, called Wizard Island. 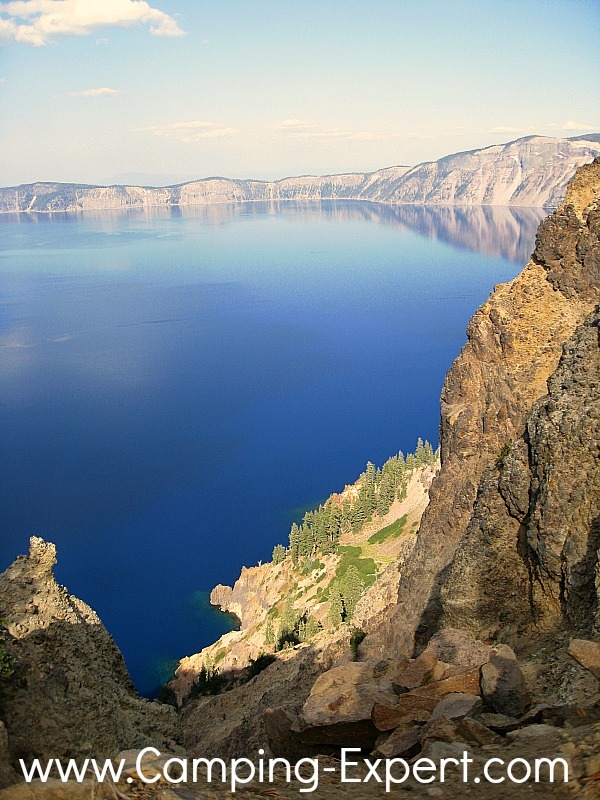 Crater lake is the deepest lake in the USA, with a depth of over 1900 feet. To put this in perspective, a ‘deep dive’ for a recreational diver is 100 feet. While, commercial and technical divers can dive deeper, with many more safety precautions. If you were to dive to the bottom, you’d be in darkness. So, it is a pretty darn deep lake. This amount of water and lack of life creates a beautiful dark blue colour that is one of the first things that stands out when you visit Crater lake Oregon for the first time. If you want, you can drive all the way around the lake, which takes about 2-3 hours and you can view the lake from many different view-points. You can also take a hike down into the crater, where you can then hop onto the boat, which can tour you around the lake in just under 2 hours. You can even hike on Wizard Island! We decided to hike up Garfield mountain, which is considered to be a strenuous 2-3 hour hike. It is either up or down hill, but very clearly marked and maintained with many switchbacks. Since you are already at altitude, this hike is not meant for people with heart problems. 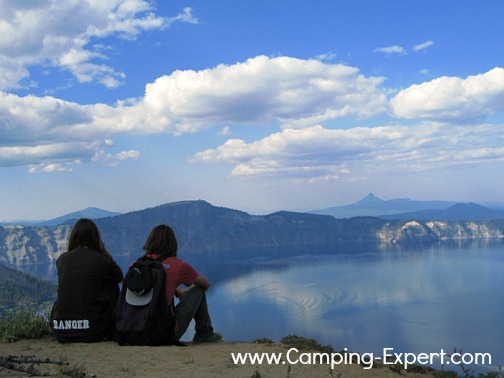 Throughout the hike you have panoramic views of Crater lake and the surrounding mountains and deserts. Just Gorgeous. 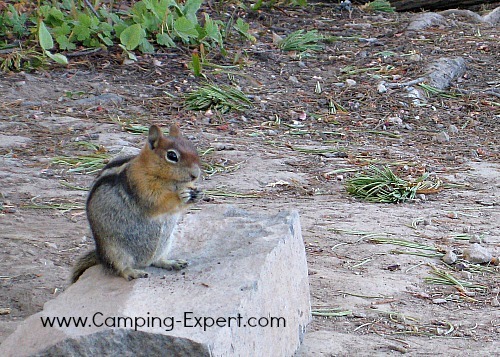 We also met a cute chipmunk at the top of our hike, that I was able to get quite close to. There are 2 camping areas in the park. One is full service with showers, electrical hook-ups and more. This one can be booked ahead of time. 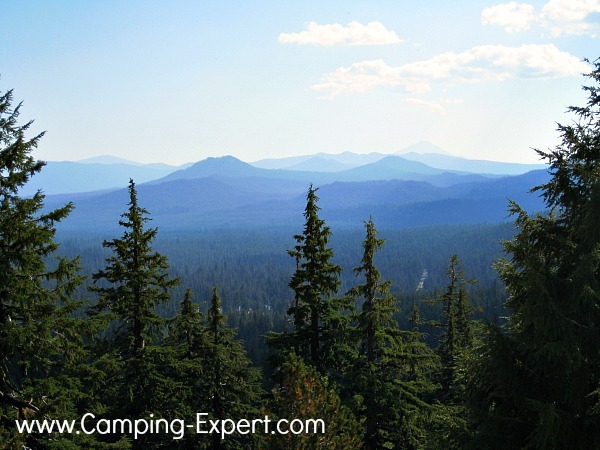 The second camping area is tents only, $10 per night on a self-registration basis. This one is on a first come first-serve basis. The views and hikes around crater lake are pretty spectacular. We quite enjoyed our visit and hike there. 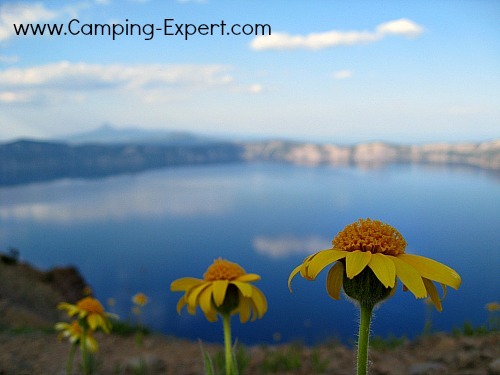 Check out other beautiful parks and places to camp with pictures.